Beach to Beacon is the road race in Maine that sells out in under 4 minutes on a cold, early March morning. For a 10k, this race takes a lot of planning. 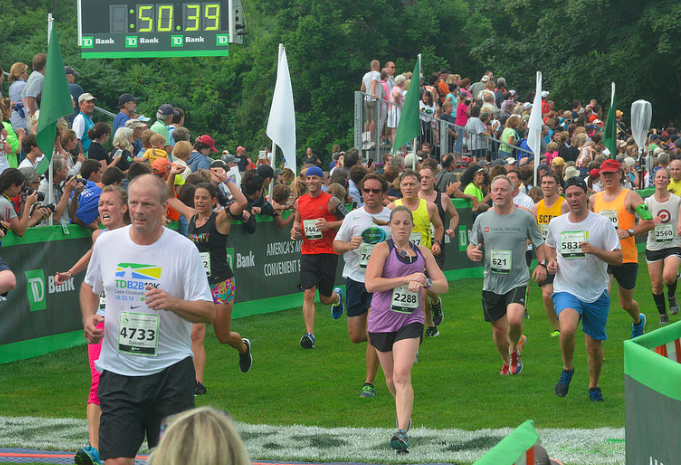 Not only is it organized by the incredible Joan Benoit Samuelson, it attracts over 6500 runners from all over the globe and offers an entire 6.2 mile wall of spectators cheering you on to the finish. The race organizers put in a ton of thought and work into this race - as do the thousands of volunteers that help make this race successful. 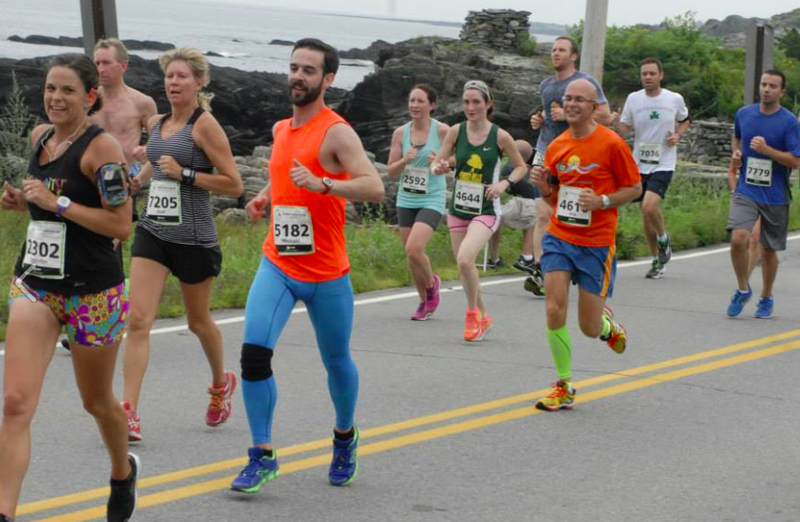 To add to the excitement of Beach to Beacon, elites and master level runners from all over come to this little coastal town in Maine to race - this year Shalane and Meb joined the elite runners to run this course. Love meeting fellow bloggers - especially this one! 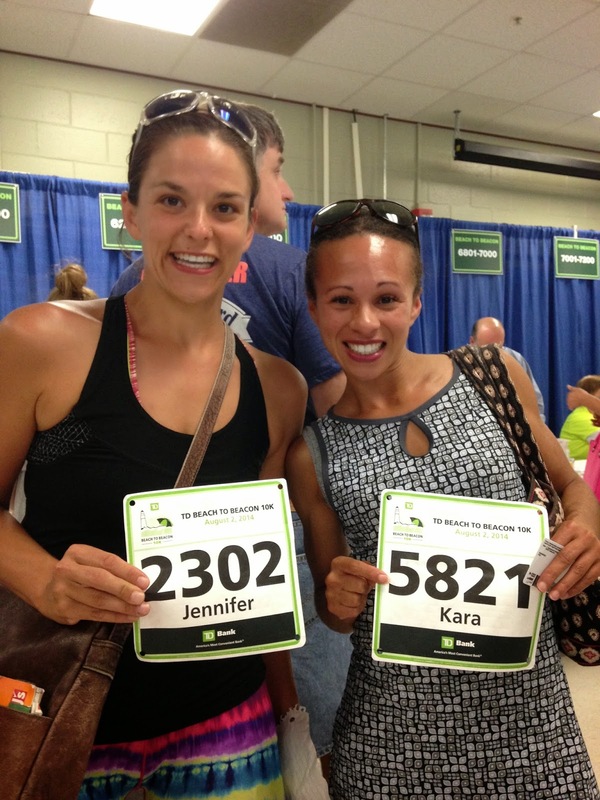 Kara, a Maine Native, and teacher runner too! I'm not a big crowd kind of person. They make me nervous. Give me a small town race any day. But, for some reason, I still love Beach to Beacon. 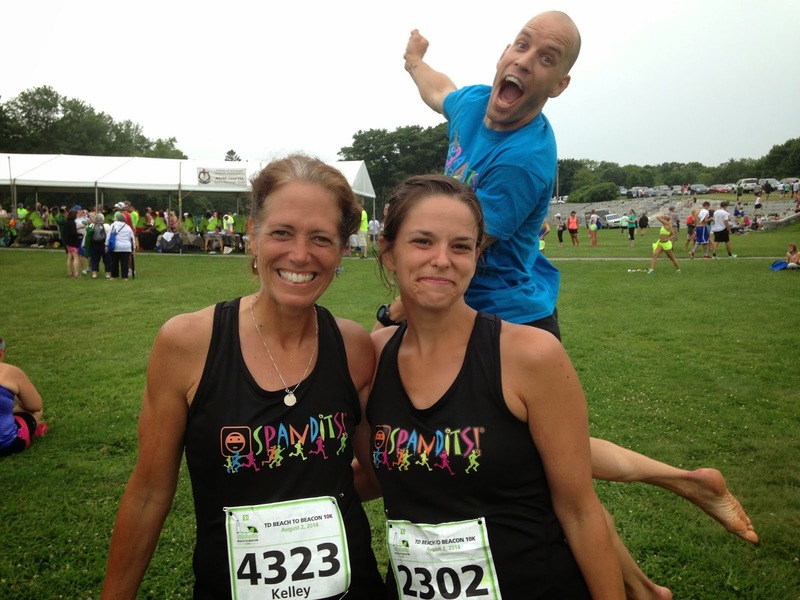 Two summers ago, Ward and I chose to not run the race and wanted to spectate and had an absolute blast! 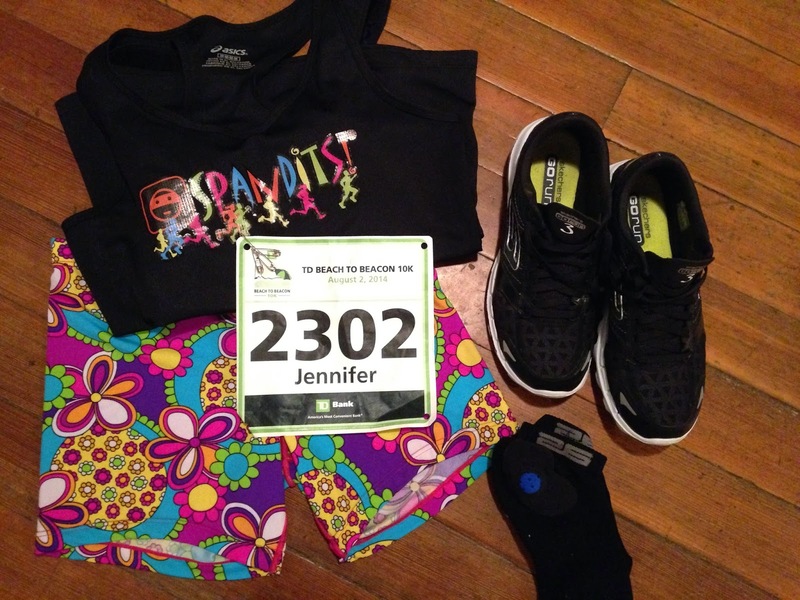 Last summer I was registered but my darn injury kept me from running the race. Yet, I still hobbled to the finish line chute and cheered on the runners! 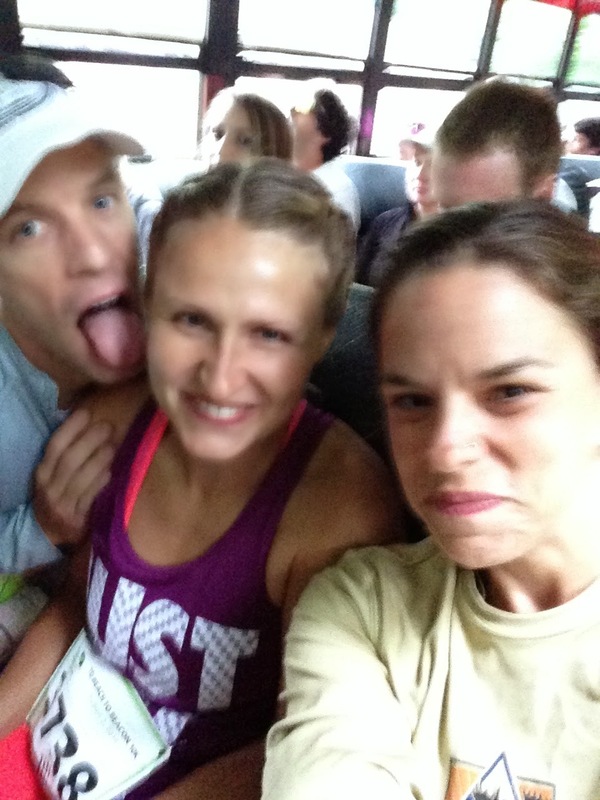 things can get a little wild on the shuttle.... Wade apparently has a problem and wants to lick his wife's face! 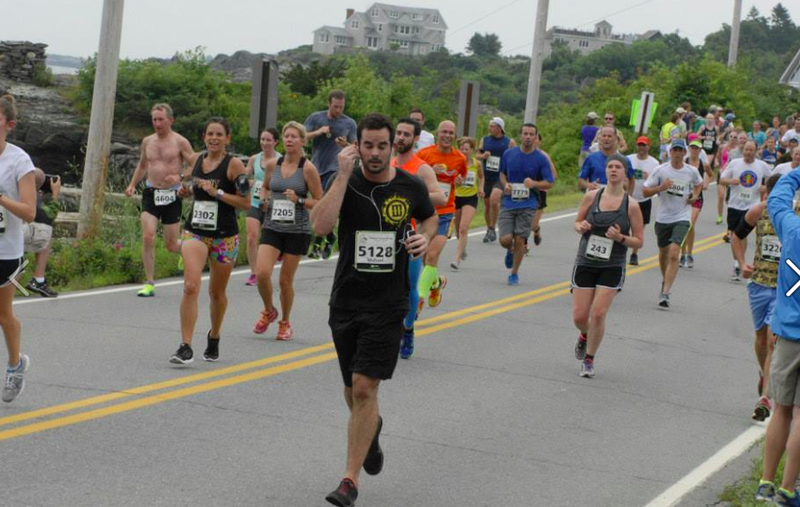 This year, Ward and I ran Beach to Beacon. While registering is a challenge, getting there requires a bit of organization as well! The course itself is not a loop and a shuttle system is necessary. 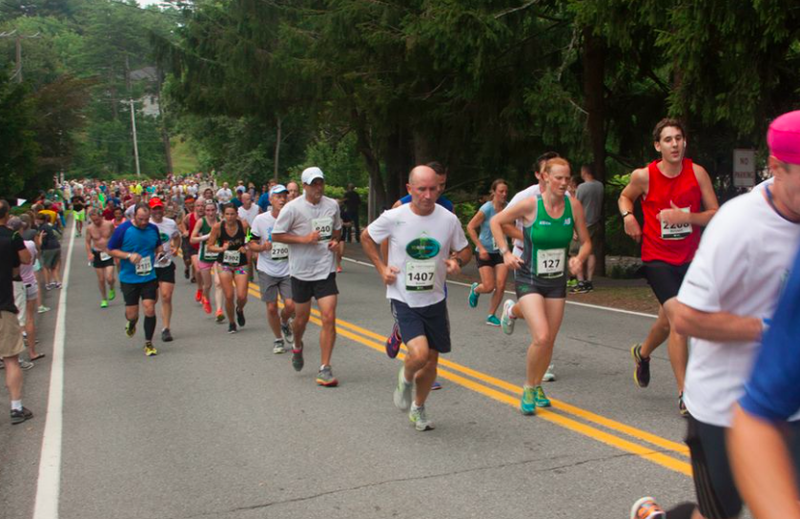 With the race being in Cape Elizabeth, a small coastal Maine community, parking is an issue. The organizers have really done an excellent job at creating satellite parking and having busses shuttling the runners to the race start. It's taken a few years, but we've gotten so much better at getting up early enough and leaving our house so we're not sprinting to the final shuttle bus. 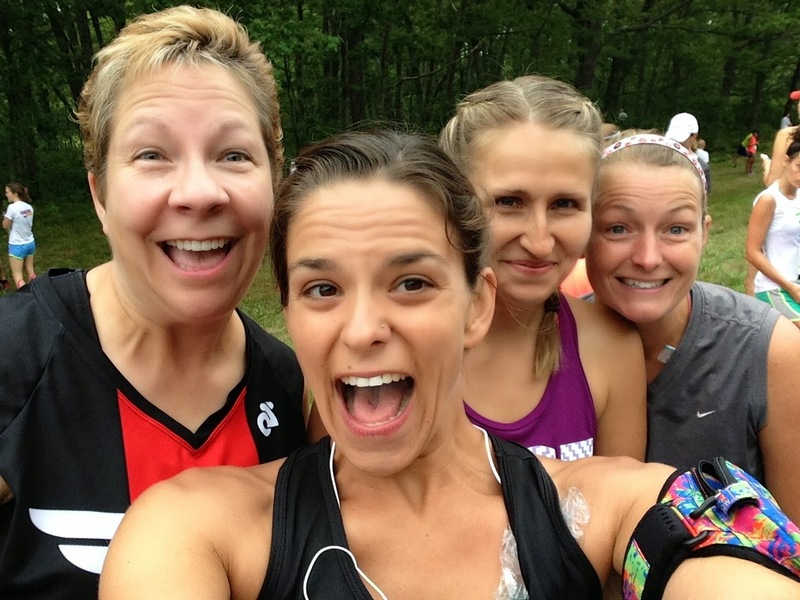 We had our own carpool to head down to the race - Jill, Wade, Stacy, Ward and myself and we parked at Southern Maine Community College, visited the porta potties and got on a bus immediately. We made it to the starting line with plenty of time to check bags, visit porta potties (again), visit with friends and stretch. And then it was time to line up in the corral and wait. It seemed like I waited forever, but really it wasn't. When the gun went off, there was a bit of a wait time, a little stop and go...and soon enough I was crossing the starting line. I started my Garmin and eased into a comfortable pace. My goal? I just wanted to do better than LL Bean and have a great race. I wasn't looking for a course PR since I knew I had to save something in my legs to finish off the 18 miles I had on my training schedule for the day. Yes. 18 miles. Ouch!!! Skechers Go Run 3, and Stable 26 socks. So my goal turned out to be a good speed workout, finish strong, and have something left in the tank for the remaining 12 miles. Soon enough it started misting and I was in heaving. I thought - please please please rain!!!! But no. Just mist. For a few miles. But it felt good. I loved it. 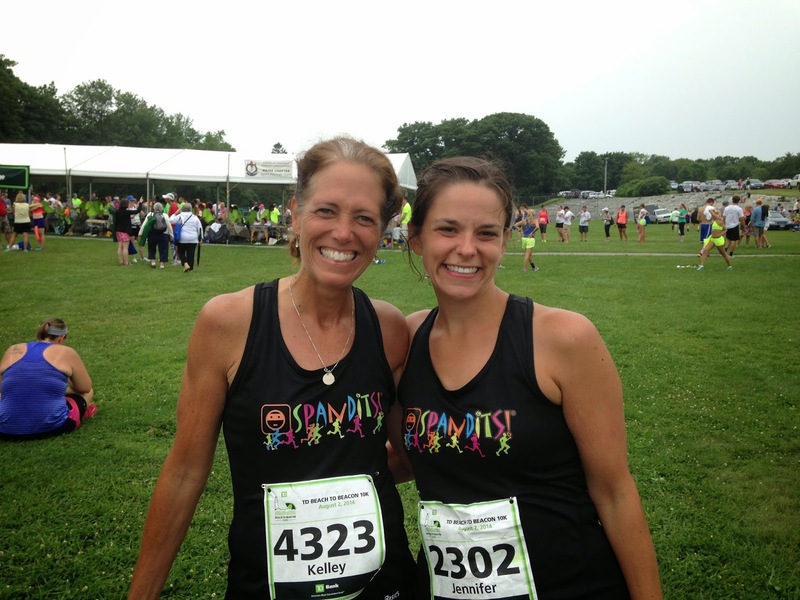 My pace was hovering around 8 minute miles and they felt comfortable. One of the things I absolutely love about this course is the crowd. Imagine a 6.2 mile wall of spectators cheering you on. Awesome! Such a great feeling! About mile 5, I got to see David the man behind Maine Running Photos! Lots of fun seeing him taking photos at races! Thank you, David! This is when the hills come. I don't mind them all too much and I know they are there...but I also know that after the hills - comes the best part! The finish line chute! 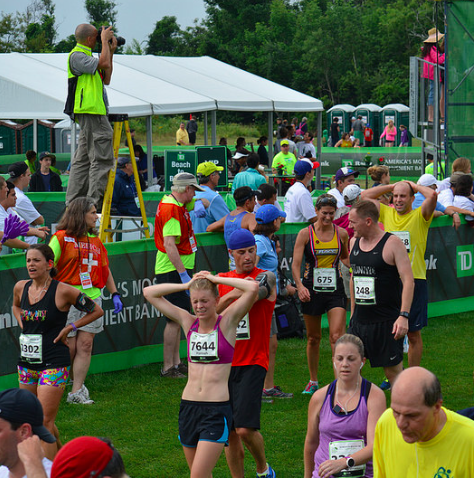 There is so much energy along the finish line chute, it is amazing. When I come through the chute - it's a little crowded - so I just push hard and hope to not run over someone. Finishing strong! Time says 50:39...but it took me 39 seconds to get to the starting line...official time was 50:00 even. I couldn't have planned that any better! And now I'm thinking..... oh crap...12 more to go! Immediately after I crossed the finish line I made a beeline for Joan Benoit Samuelson to shake her hand because of course I had to do it! And then I made the walk up the hill to the meeting area and food court. This is the part where I'm so happy we have a regular meeting area because it is incredibly overwhelming trying to find people up there! 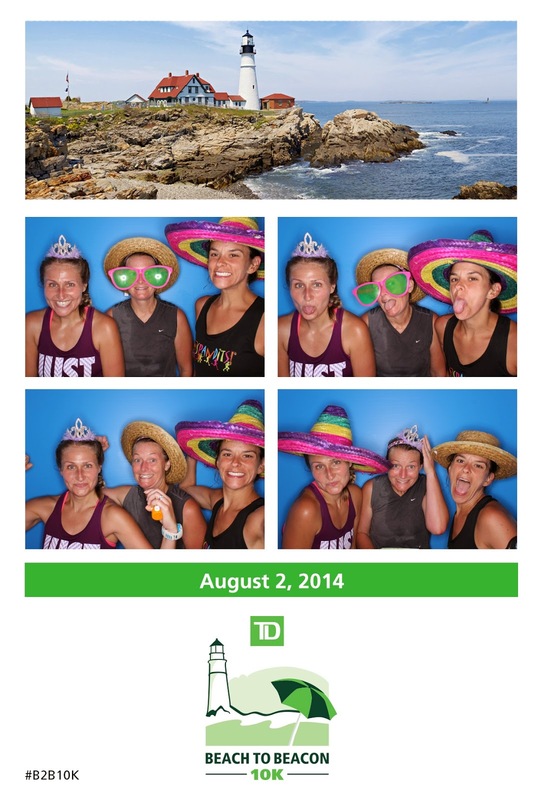 Our meeting spot is next to the TD tent and this year they had a photo booth. Jill, Stacy and myself had a little fun with this part! And then we settled down in our spot for a bit. 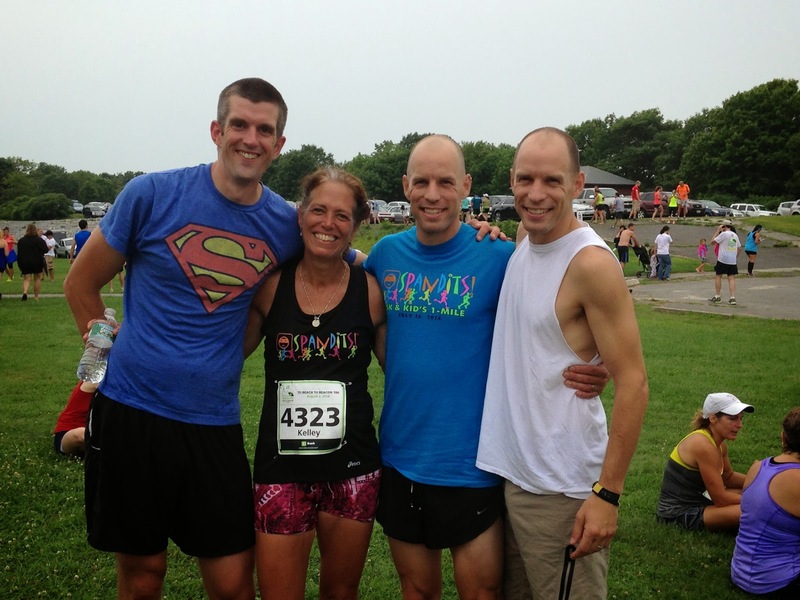 Our friend Mark, Kelley (co-owner of Spandits), Wade, and Ward - posing for a photo! While I'm lucky enough to be one of her ambassadors - I think it's fabulous that she was Mark, Wade, and Ward's HS track coach. She's a rockstar! And then I had my photo op with Kelley! then of course we had to had a photo bomb by Wade. After a little rest, some snacking and hydrating, we started our trek back to the car. I had decided that I was going to run back to the car so I could add on mileage easily. I never expected the rest of the group to do it. Well, maybe I expected Ward to do it. But no one else! But they are amazing - Ward, Wade, Stacy, and Jill all ran back to the car with me! Our car was only parked 2 miles away, but it was an easy way to add in more mileage. After we got home, I changed my outfit, snagged Izzy's new Spandits headband, put on my new B2B race shirt, my Tommie Copper compression shorts, new pair of Stable 26 socks, and my Skecher Go Run Ultras and got in the rest of my mileage. My Garmin had said that the race was 6.25 miles + the 2 miles back to the car - I had 8.25 miles completed, which meant I only had 9.75 more miles to go! Those miles were slow and tough. I wanted to make sure I was well hydrated - so I brought my Camelbak since the temps were rising by this time of day. Thank goodness I brought it. I really needed it. I did it! 18 miles. And a great Beach to Beacon race! 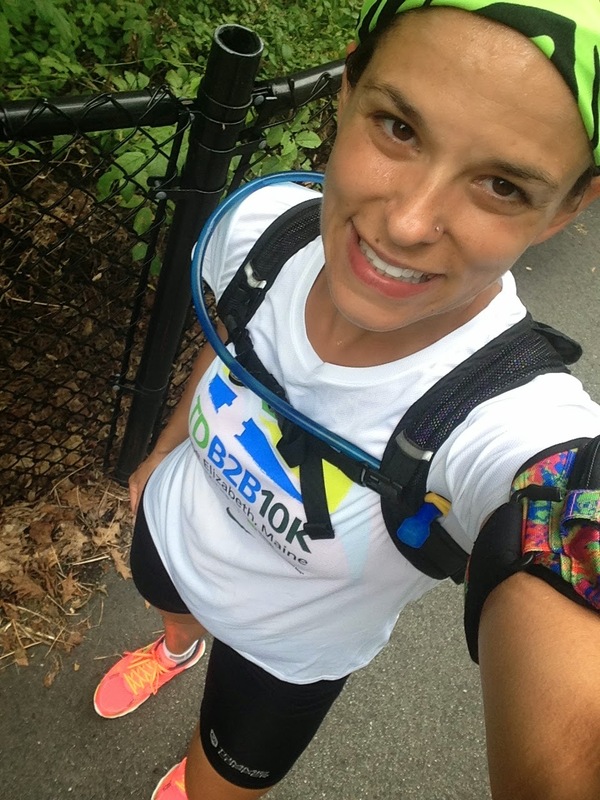 When you have a long run scheduled, what do you do? Run before? After? Another day? You are just a rockstar!!! I usually try to make it the same distance...or run after. Looks like a great time!!! I have run before a race (to it actually) to get my mileage in. 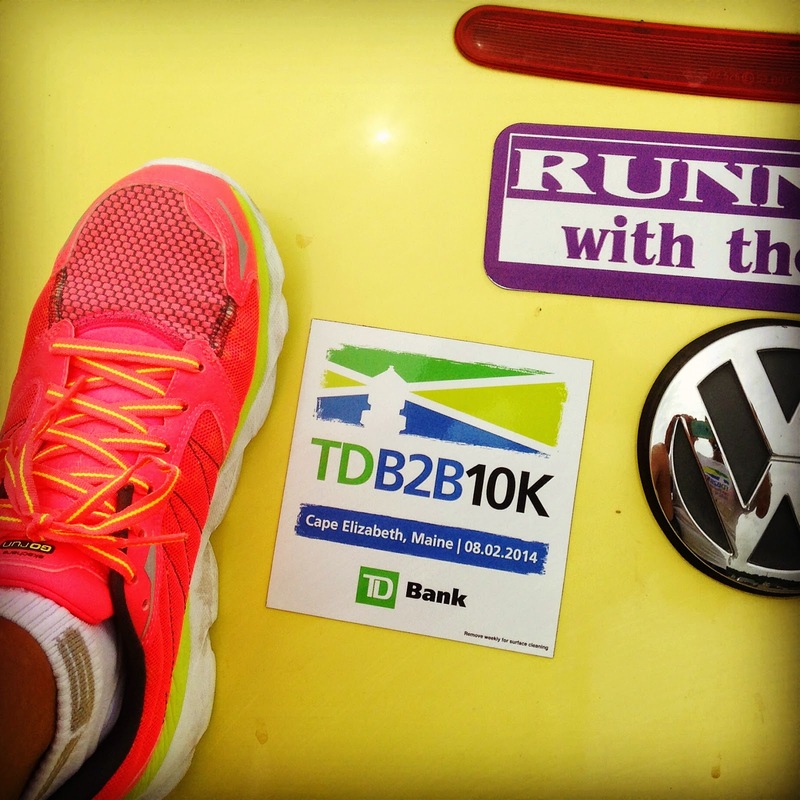 Reading your recap makes me want to do B2B even more!